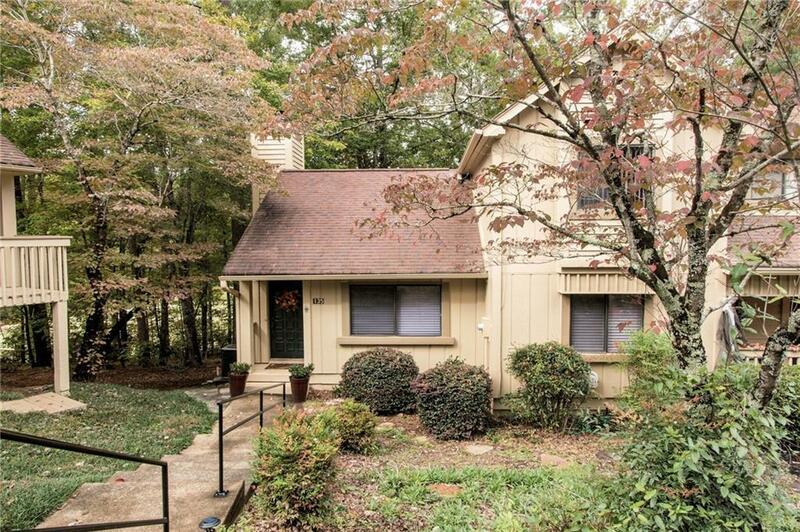 Own a piece of Keowee Key in this lovely, freshly painted, new flooring throughout town home. Nestled at the base of Keowee Key's George Cobb golf course, with a view of the golf course plus the natural beauty and peace from your back deck. Balcony off the top floor bedroom, a main deck off the living room on the main level, and a covered deck off the fully finished basement level, shaded with trees in the green space beside this town home. An open floor plan as you enter the combined dining/living area complete with a wood fireplace for those cold cozy nights with double sliding doors opening up to the main deck. The kitchen is open leading to the main floor laundry room full of natural light. Upstairs has a large bedroom and full bathroom. Main level has master bedroom with full bathroom. Basement is completely finished with a sleeping area, full bathroom, Kitchen, additional laundry and new HVAC system has been added to this lovely home. Sliding glass doors lead to the covered deck with plenty of space to relax! This unit is being sold furnished LESS some personal items of choice. Please visit www.Keowee-Key.com for more information on this amazing gated community!